What would you invent if you could invent anything? Do you have an idea for an invention? Would it be fun? Would it help others? How would it be good for the future? 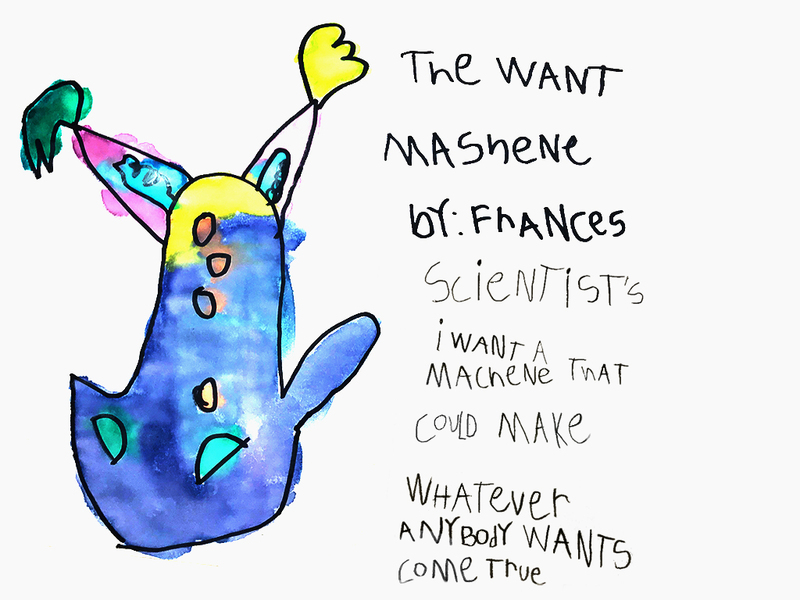 A young Winnipeg girl, named Frances, sent us her invention for the future; “The Want Machine,” a machine that can make anyone’s wish come true. She sent us a drawing and told us what the machine does. It got top scientists at the University interested. They wondered what other ideas are out there? The Faculty of Science is asking students in grades 1, 2, and 3 from Manitoba to send us their ideas for an invention. Please send us a drawing of your invention, so we understand what it looks like, and tell us what your invention does. All ideas will be sent to our top scientists. Your ideas will be entered into a draw for a science prize pack from the University of Manitoba, Faculty of Science. The winning entry will also receive a special class visit from Let’s Talk Science, and members of our STEAM team who will do fun science activities with your entire class. In support of Science Literacy Week, SEPTEMBER 17-23, 2018, #SciLit.